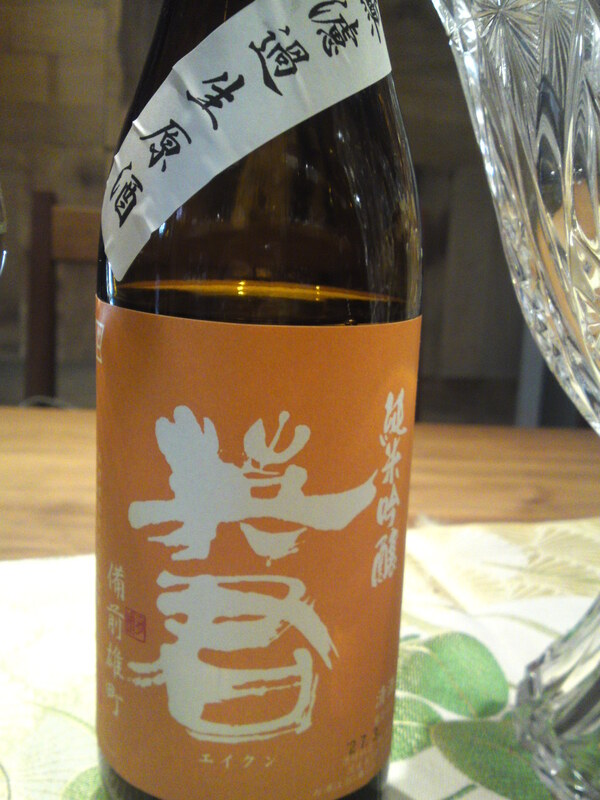 Eikun Daidai (“orange” for “rnage label”) Junmai (no pure wrice alcohol blended in) Ginjo Muroka (unfiltered) Nama (unpasteurized) Genshu (no pure water blended in)! 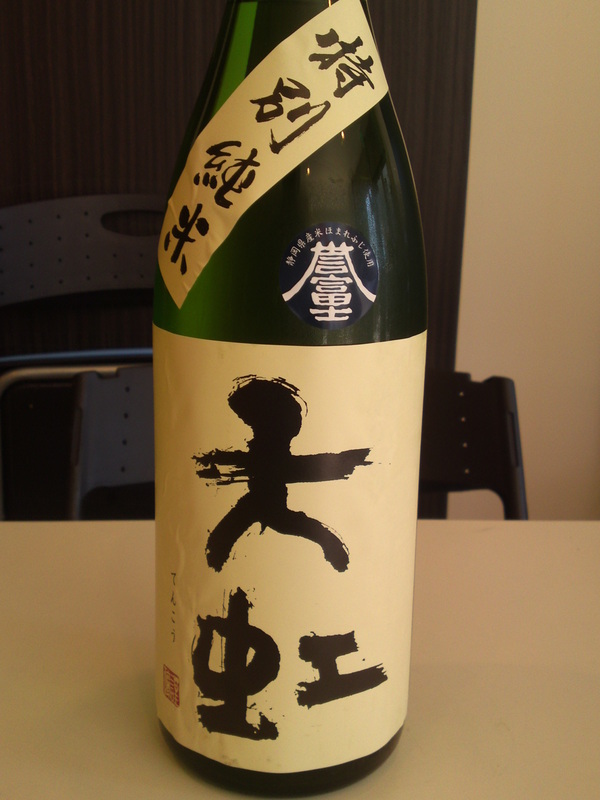 Tasting: very dry and fruity attack backed up with strong junmai petillant and pleasant acohol. Complex. Dark chocolate, chestnuts, cashew nuts, banana. Lingers for a short while warming up the palate before before departing on notes of dry coffee nuts, dark chocolate and oranges. Overall: Eminently enjoyable on its own in spite of its strong alcohol. Would superbly marry with cheese and chocolate in particular. For all its declared “macho” approach would probably please ladies more. 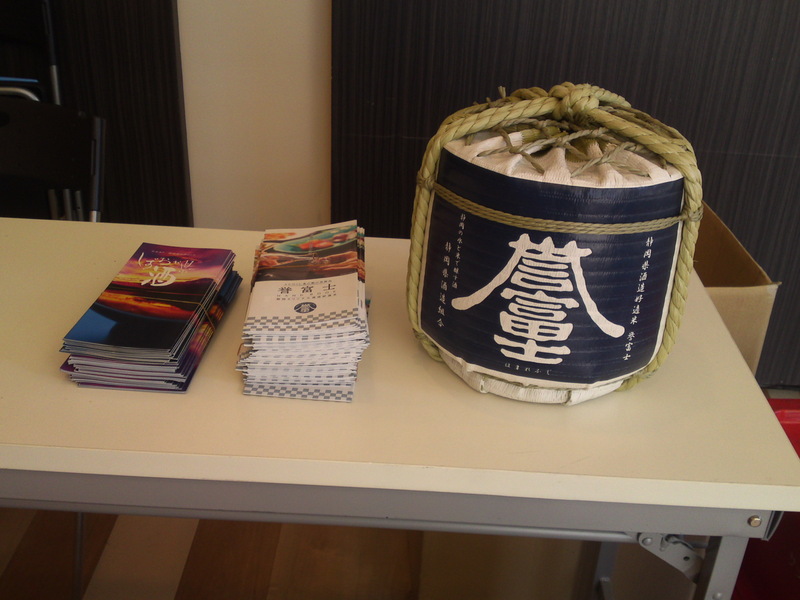 On March 17th was held a special sake tasting at MIRAIE Community Hall in Shichiken Cho under the auspices of Hasegawa Wayoushu Co., a major wine and sake distributor in Shizuoka City, featuring sake made with Homarefuji rice by the seven breweries located in Shizuoka City! 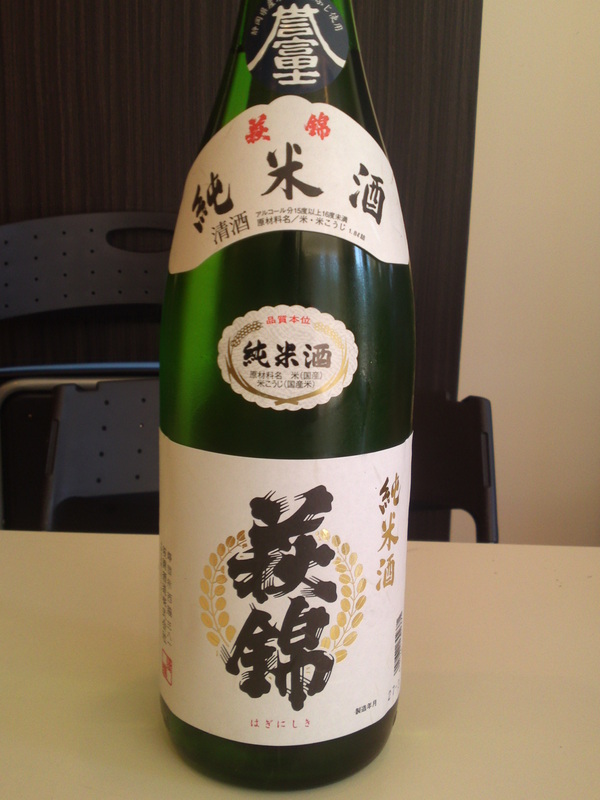 The seventh tasting was a Tenkou Tokubetsu Junmai Homarefuji by Suruga Brewery in Suruga Ku, Shizuoka City! Note that the tasting order was made according to the table order of the day! 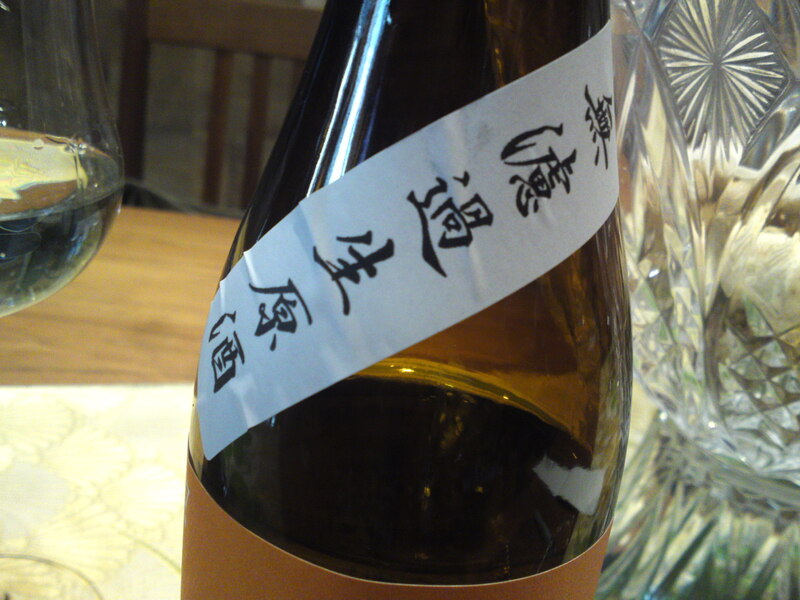 Taste: dry and fruity attack backed with strong junmai petillant. Lingers on only for a little while before departing on notes of greens, vegetables and dry oranges. Definitely conceived to be enjoyed with food. Would particularly do well with grilled red meat or any meat dishes! 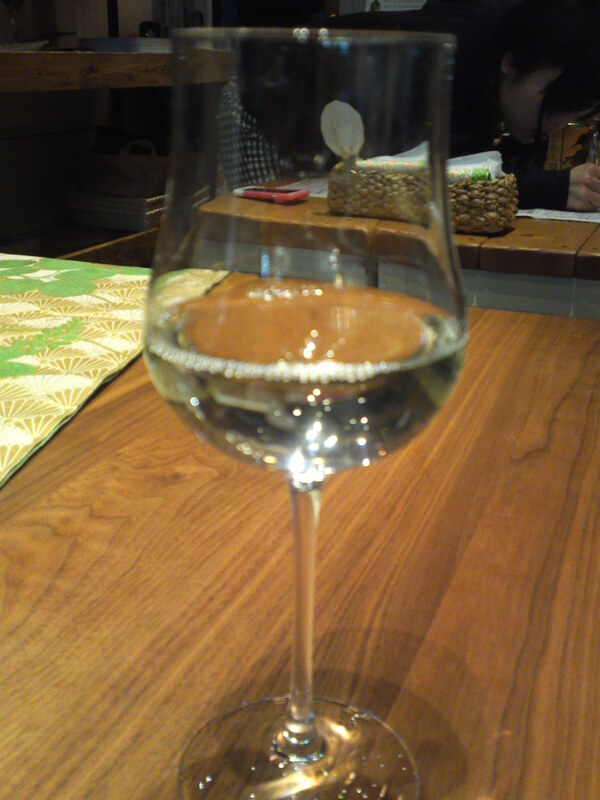 The sixth tasting was a Kumpai Tokubetsu Junmai Homarefuji by Kumpai Brewery in Suruga Ku, Shizuoka City! 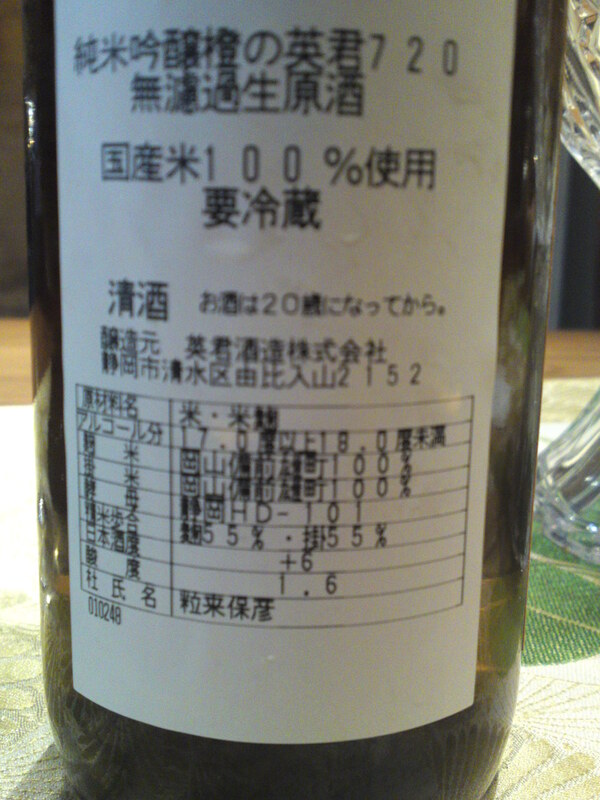 Taste: dry and very fruity attack backed with moderate junmai petillant. Lingers only for a while warming up back of the palate before departing with notes of dry nuts and walnuts. Really melts on the tongue. Overall: Elegant and very satisfying. 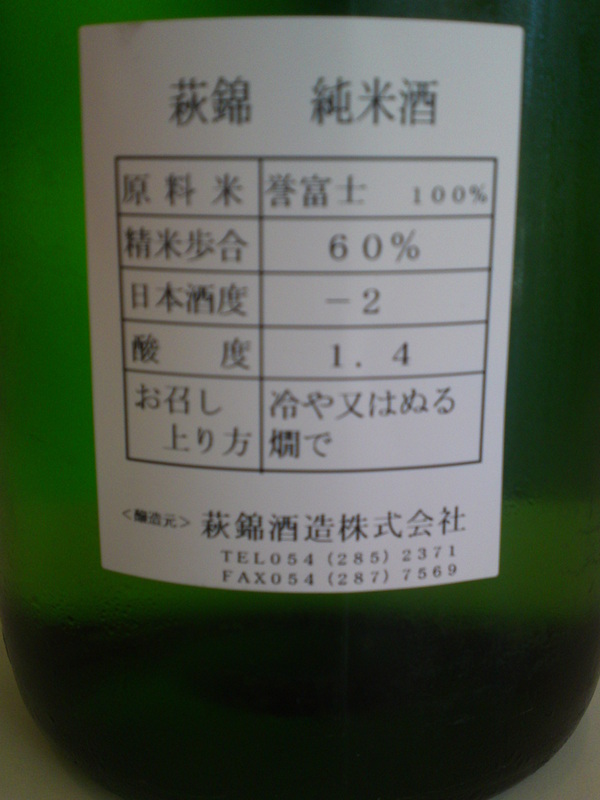 Drier than expected in spite of its “-5” dryness announced because of its very fruity approach. Would beautifully pair with chocolate! 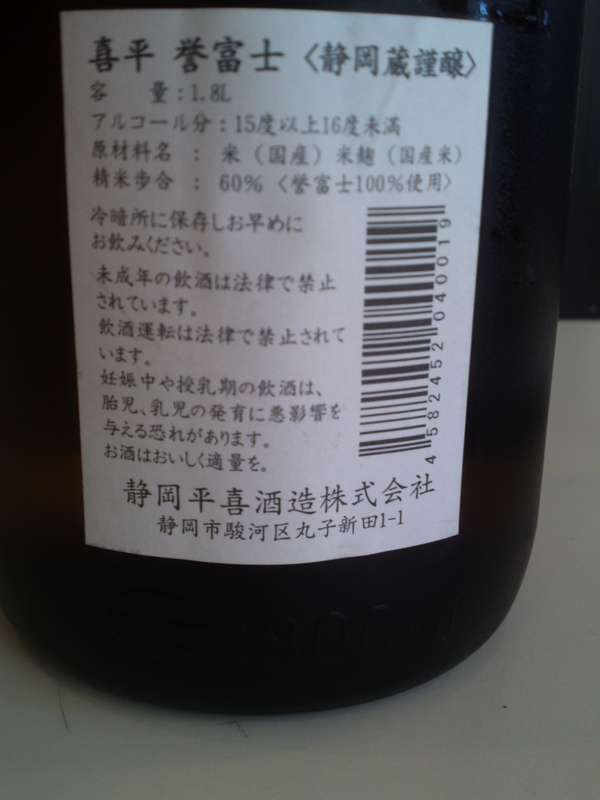 The fifth tasting was a Eikun Tokubetsu Junmai Homarefuji by Eikun Brewery in Yui, Shimizu Ku, Shizuoka City! 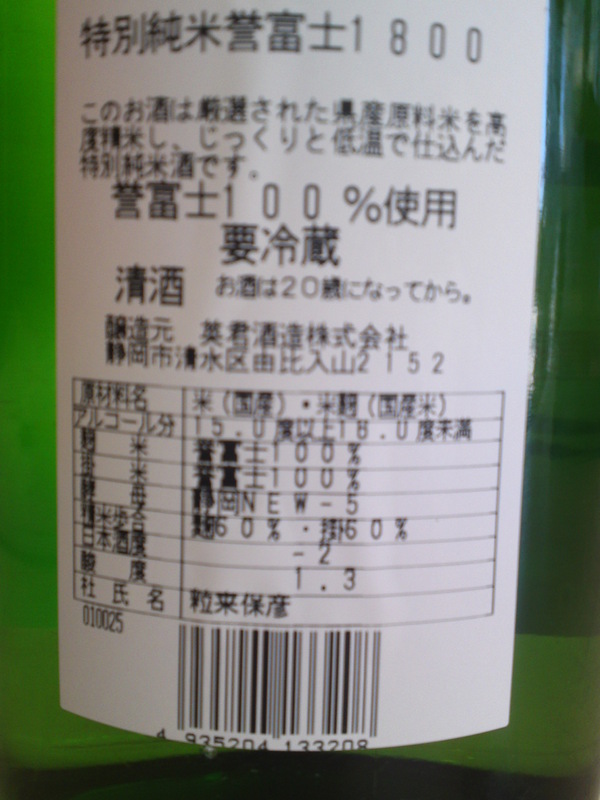 Taste: very fruity and dry attack in spite of the “-2” (sweet) dryness announced. Backed with moderate junmai petillant. Complex: oranges, marshmallow, custard, macadamia nuts. Lingers on for a little while before departing with notes of dry oranges and apricots. Late appearance of dry persimmon and coffee beans. Overall: very elegant and eminently easy to drink. A lot drier than expected. the “-2” dryness announced tends to be misleading. Complex with multiple facets appearing late. Should be happily paired with vegetables and salads in particular! 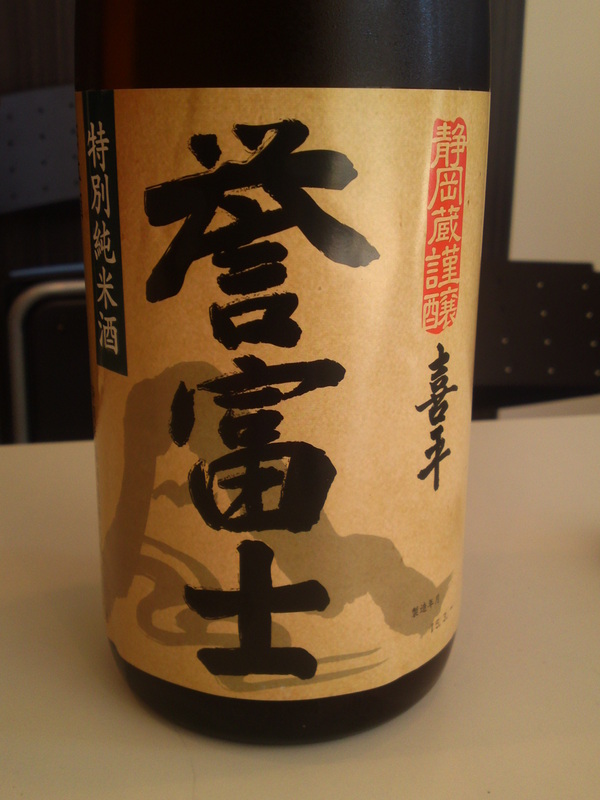 The fourth tasting was a Haginishiki Junmai Homarefuji by Haginishiki Brewery in Suruga Ku, Shizuoka City! Aroma: dry and fruity. banana, hints of lemon. Taste: Almost sweetish and fruity attack. Creamy. Very moderate junmai petillant. Complex. Citruses, lime, lemon, faint melon. Late appearance of pears and apples. Lingers only for a while before departing with hints of coffee beans. Revealing different facets with every sip. Overall: Very enjoyable on its own but would definitely emphasize food. Would happily pair with egg dishes! 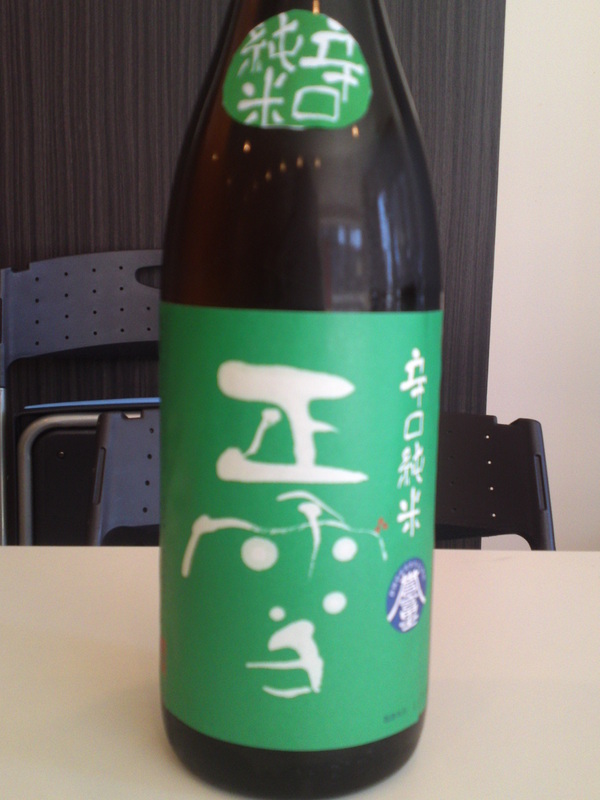 The third tasting was a Shosetsu Junmai Karakuchi Homarefuji by Kanzawagawa Brewery in Yui, Shimizu ku, Shizuoka City! 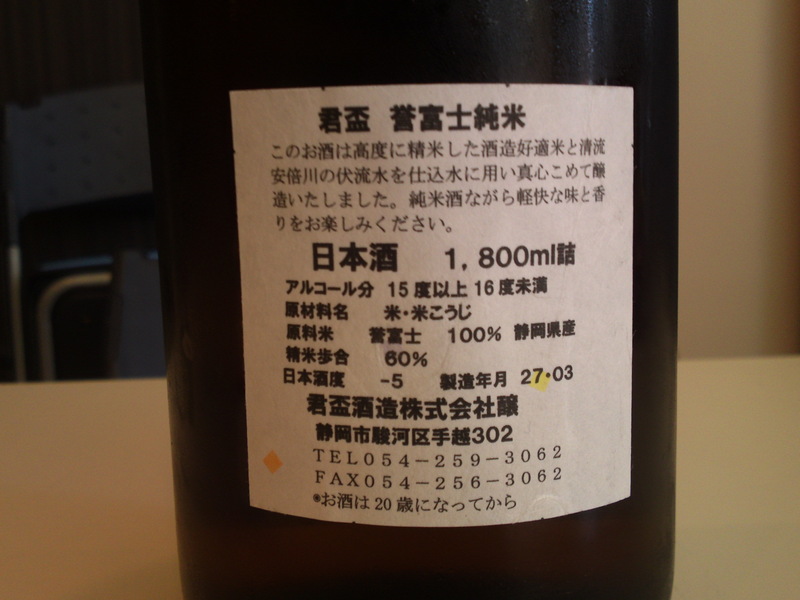 Taste:dry and fruity attack backed up with moderate junmai petillant. Very complex: dry oranges, melon, pumpkin, macadamia nuts. Lingers on only for a while before departing with notes of dark chocolate and custard. tends to show different faces with every sip. 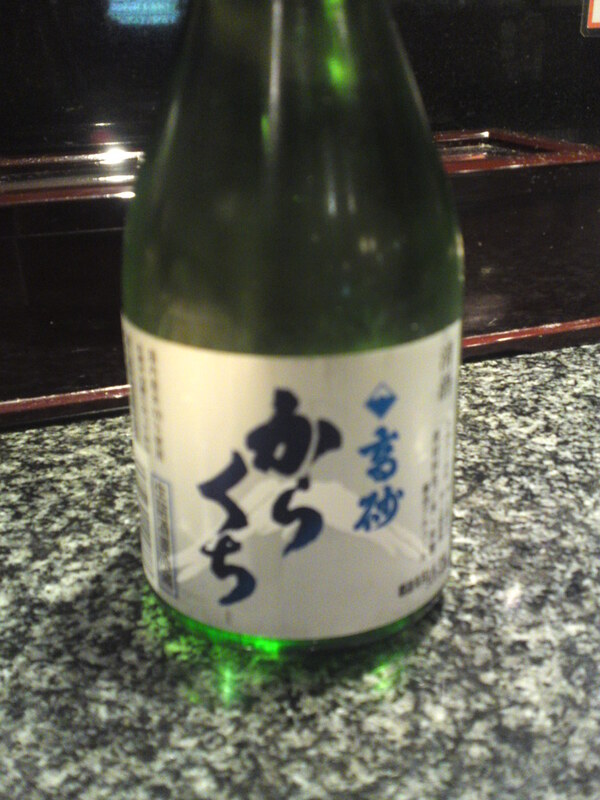 Overall: very dry but elegant sake. Eminently drinkable. Very complex, intriguing and enjoyable. Would par beautifully with tempura, BBQ and tonkatsu! 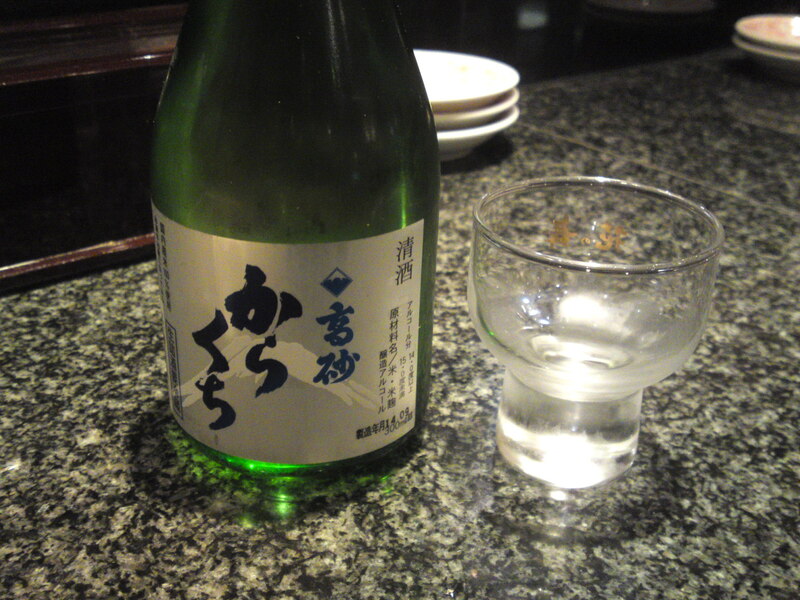 The second tasting was a Junmai Ginjo Homarefuji by Sanwa Brewery in Shimizu ku, Shizuoka City! Tends to show many new facets. Lingers only for a little while before departing on notes of oranges. Would be most appreciated by ladies. Would pair well with light starters, asparagus and most probably with bitter chocolate. 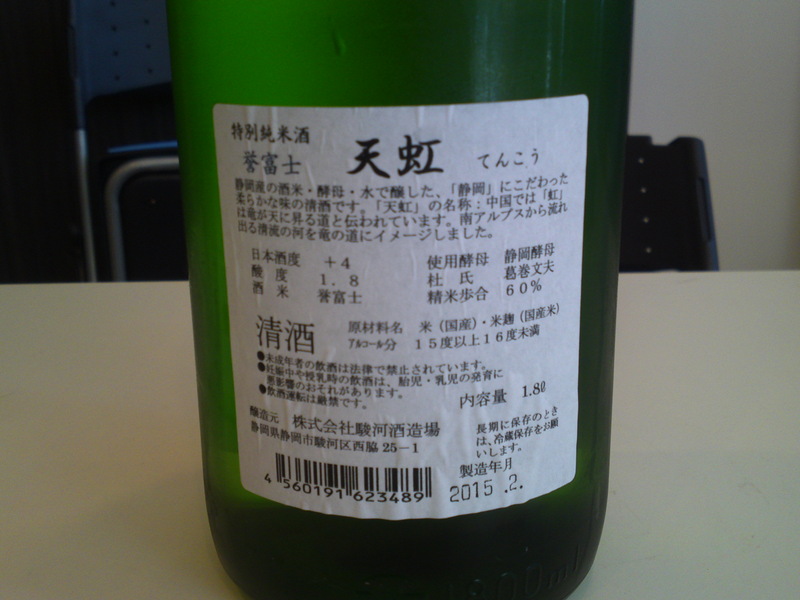 The first tasting was a Tokubestu Junmai brewed by Shizuoka-Hiraki Brewery in Shizuoka City, Suruga Ku under the brand name of “Kihei”. 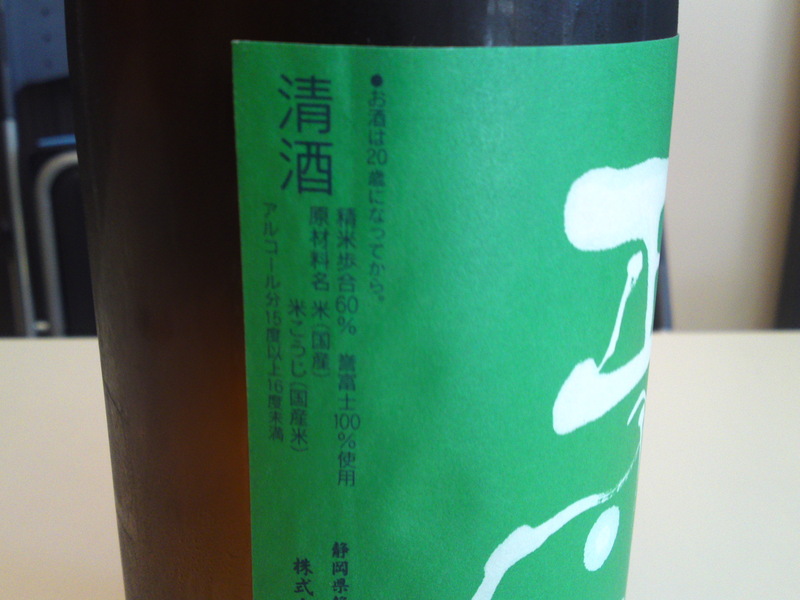 Taste: dry, fruity, slightly acidic attack baked up with moderate junmai petillant but strong alcohol. Would do well heated and paired with heavy izakaya fare!